A first order evaluation of vessel two-phase flow regimes and their effect on pressure relief sizing can be reduced down to determining if the system in question exhibits foamy behavior. This is the case for both non-reactive as well as reactive systems and needs to be evaluated under conditions coinciding with the relief venting process and pressure. In contrast to the often debated depressurization technique, a simple method to determine the prevailing regime characteristic at both low (near atmospheric) and higher pressure relief conditions is the ARSST flow regime detector illustrated in Figure 1 (Fauske, 2000). The importance of flow regime characterization and pressure relief sizing is illustrated in Figure 3 in case of fire exposure and is relevant to storage vessels including both non-reactive and reactive conditions (Fauske, 2006). 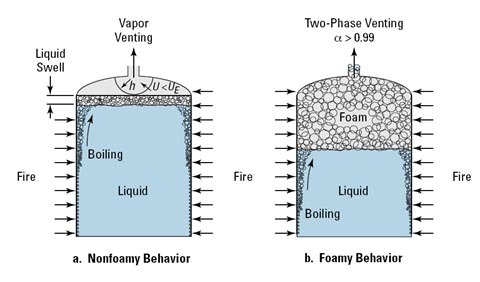 Figure 3a illustrates all vapor venting in case of non-foamy behavior, while Figure 3b illustrates two-phase venting in case of foamy behavior, where the void fraction entering the relief device is of the order of 0.99. Despite the high void fraction foam entering the vent line, the required vent area is several times the area required for the non-foamy behavior, all other conditions remaining the same. 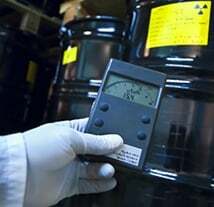 The detector employs a small immersion heater and an attached thermocouple (TC2) that is positioned in the upper freeboard space of the test cell. 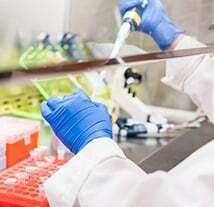 The TC2 temperature should be well above the anticipated temperature of the sample (TC1). 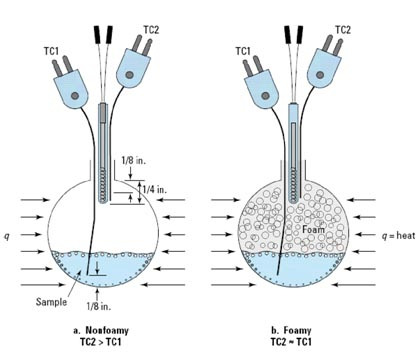 The detector operates on the simple principle that if the flow regime following onset of boiling or decomposition is foamy, then the detector will be wetted and rapidly cooled as illustrated in Figure 2. 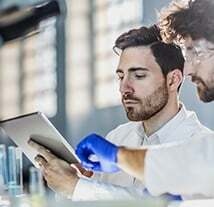 If the flow regime is non-foamy, then the detector thermocouple TC2 will continue to measure a temperature well in excess of the sample temperature TC1. A further illustration of the importance of flow regime characterization and pressure relief sizing is illustrated in Figure 4 for process vessels and is relevant to reactive vapor systems (tempered reactions). 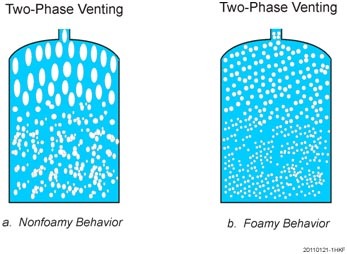 Figure 4a illustrates two-phase venting characterized by the churn turbulent flow regime in case of non-foamy behavior, while Figure 4b illustrates two-phase venting characterized by the bubbly flow regime in case of foamy behavior. 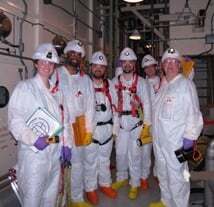 In case of a nearly liquid-full process vessel, the vent area requirement for the foamy case is about twice that required for the non-foamy case, all other conditions remaining the same (Fauske, 2006). It also follows that the required liquid fill fraction to prevent two-phase flow can be much higher for the non-foamy case than the foamy case. Finally, for gassy decomposition systems (non-tempered reactions) experience indicates that for foamy behavior the vent area can be based upon all gas venting at peak reaction condition and no reactant loss (Fauske, 2006). 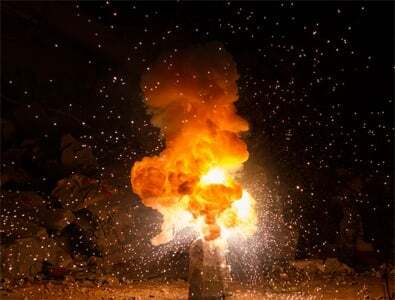 In case of non-foamy behavior the vent area again can be based upon all gas venting at peak reactive conditions with potential reactant mass loss determined by the churn turbulent flow regime (Fauske, 2006) resulting in a smaller vent area, all other conditions remaining the same. Hans K. Fauske, 2000, “Properly Size Vents for Nonreactive and Reactive Chemicals,” Chemical Engineering Progress, February 2000. Hans K. Fauske, 2006, “Revisiting DIERS’ Two-Phase Methodology for Reactive Systems Twenty Years Later,” Process Safety Progress, Vol. 25, No. 3, September 2006.